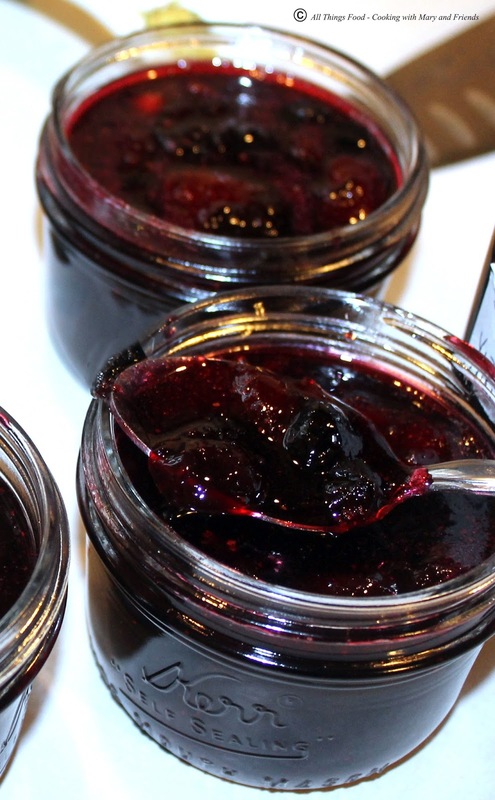 Cherries, Blueberries and Strawberries form a medley of flavors in this boozy jam infused with Grand Marnier! The orange taste of the liqueur gives this jam just the right flavor burst. I used fresh berries I had previously flash frozen and had stored in my freezer, but fresh or frozen would work equally well. 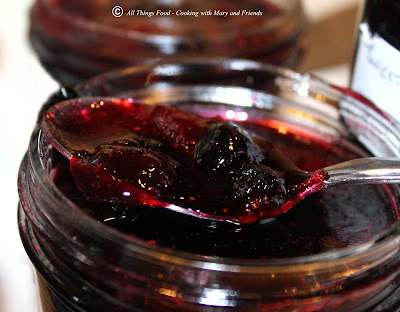 Delicious over cream cheese on bagels, or topped on English muffins, scones or waffles. 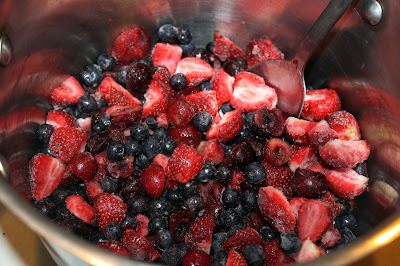 Place all berries in a large stock pot, lightly mash, stir in lemon juice, butter and pectin. Bring mixture to a boil, over high heat, stirring often to prevent sticking. Add sugar all at once and return to a hard, rolling boil (one that doesn't stop when stirring). Boil hard one (1) minute. Remove from heat. Ladle hot jam into prepared canning jars and add 1/2-1 tbls Grand Marnier to each jar, leaving 1/4-inch head-space. Cover jars with lids and band, tightening until just finger-tip right. Process jars in boiling water bath or steam canner 10 minutes. Remove jars and allow to sit on a kitchen towel on top of your counter-top 24 hours undisturbed. Jars are sealed when the button on top of the lid is fully depressed and will not flex up or down. Store jars in pantry up to 1 year. Opened jars need to be refrigerated.